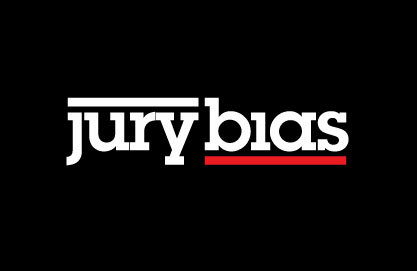 Jury Bias: When is vivid evidence persuasive? Despite the widespread belief that the use of vividness in persuasive communications is effective, many laboratory studies have failed to find vividness effects. A possible explanation for this discrepancy is that many laboratory tests have not vivified solely the central thesis of the message but have vivified irrelevant portions of the message as well or instead. Two experiments examined the effect of vivifying the central (“figure”) or non-central (“ground”) features of a message on persuasion. In both experiments, the formerly “elusive vividness effect” of superior persuasion was found, but only in vivid-figure communications. A mediation analysis revealed the salutary role of supportive cognitive elaborations, rather than memory for the communication, in mediating the vividness effect. The findings caution against attempts to persuade by increasing overall message vividness because off-thesis vividness has the unintended and undercutting consequence of distracting recipients from the point of the communication. This is an interesting article about how to use vividness in communicating a message. There has been much controversy about whether vividness makes a message more memorable or persuasive. See,Nisbett, R., & Ross, L. (1980). Human inference: Strategies and shortcomings of social judgment. Englewood Cliffs, NJ: Prentice Hall; Taylor, S. E., & Thompson, S. C. (1982). Stalking the elusive “vividness” effect. Psychological Review, 89, 155-181. These psychologists argue that vividness is effective when the vivid elements of the message focuses the recipients attention on the central message intending to be communicated. Otherwise, if the vividness induces the recipient to focus on irrelevant or non-central aspects of the message it may in fact dilute its persuasiveness or detract from its memorability. his way out the door, Sanders staggered against a serving table, knocking a bowl of guacamole dip to the floor and splattering guacamole on the white shag carpet.” The latter description is obviously very vivid. Guacamole on white shag carpet evokes wonderful imagery. Nonetheless, the central issue is the actor's intoxication and the splattering of the guacamole does nothing to focus on that issue. In fact, the imagery may have drawn the jurors' attention away for the issue in the case - - - was the actor drunk before he left the party. If the message is made vivid by focusing the jurors attention on irrelevant facts you may actually dilute the message by introducing unnecessary background noise. Before trying to "punch up" your case through vividness, ask yourself whether the imagery helps jurors focus on the critical aspects of the trial story. 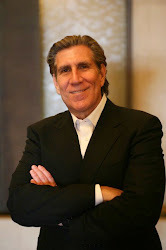 Remember, the Trial Lawyer Maxim, communication comes with the guarantee of relevance. If you communicate something to jurors they unconsciously assume that it is important to their decision making. The same holds true with focusing attention. If you focus a juror's attention on something they will assume it is important to their task. A trial lawyer cannot, and should not, tell jurors "what to think", but you can tell jurors "what to think about" by using the availability bias to your advantage and focus attention on the important facts. Making your important facts vivid can assist you in that task.